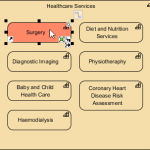 This STEPS Wizard assists you in developing a CRUD Chart that reflects the natures of data flows modeled in a DFD. You are required to draw a Data Flow Diagram, and then mark on the diagram the nature of data flows (C/R/U/D). Finally, you will obtain a CRUD chart that presents how different processes use data within the system. 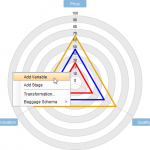 The figure above outlines how a CRUD Chart can be created from a DFD. 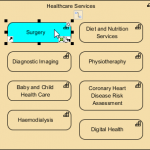 In this article we will walk you through the steps in detail. Before we continue, if you are using Visual Paradigm you can click the button below to import this tutorial into Visual Paradigm and perform the steps in the form of a wizard. 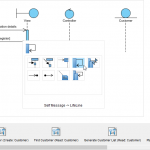 Draw a Data Flow Diagram with these elements and connect them with data flow connectors. 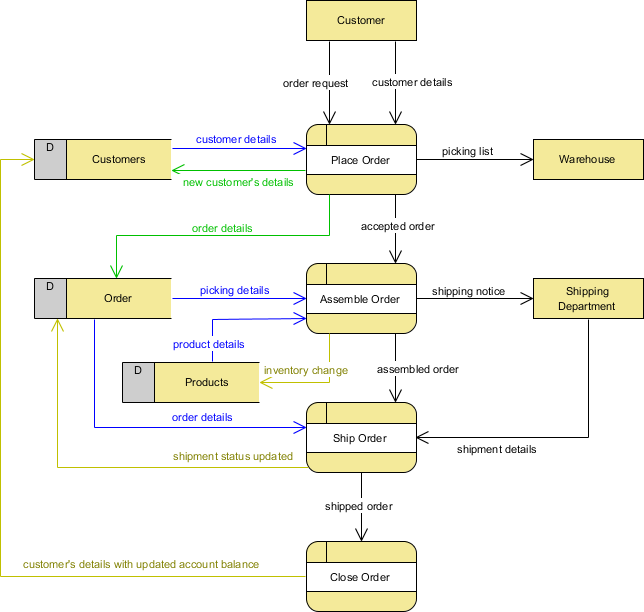 Tips: What is a Data Flow Diagram? There are mainly four symbols in a Data Flow Diagram. Process: Receives input data, manipulate it, and then produces output with a different content or form. External Entity: Components outside of the boundaries of the information systems that represent how the information system interacts with the outside world. Typical examples: a person (role), department, external organization, or other systems that provides/receive data to and from the system. Data Store: A data store represents a situation when the system must retain data because needed by one or more processes in a later time. Data Flow: A directed connector that represents the path of data movement from one part of the information system to another. 1. For each of the data flows that attach to a data store, determine its nature (either C, R, U or D). 2. 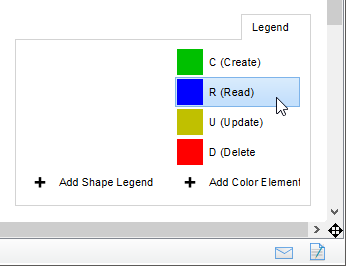 Select the type from the Color Legend at the bottom right of the diagram. 3. Click on the connector to apply. You should see the connector's color updated if success. If you want to update your choice, perform step 2 again. 4. Repeat steps 1 to 3 on the other data flows. 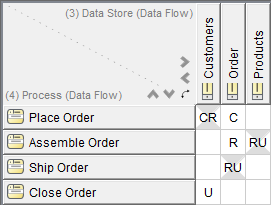 A CRUD Chart is generated based on assignment of C, R, U and D on the data flows. This step requires you to review the CRUD chart and make any necessary changes to the layout, like to resize the columns and rows. If you want to update the assignment of C, R, U and D, please re-perform step 2. This will cause a refresh of chart content. Note that any change you make directly in the chart will not be reflected back on the Data Flow Diagram. 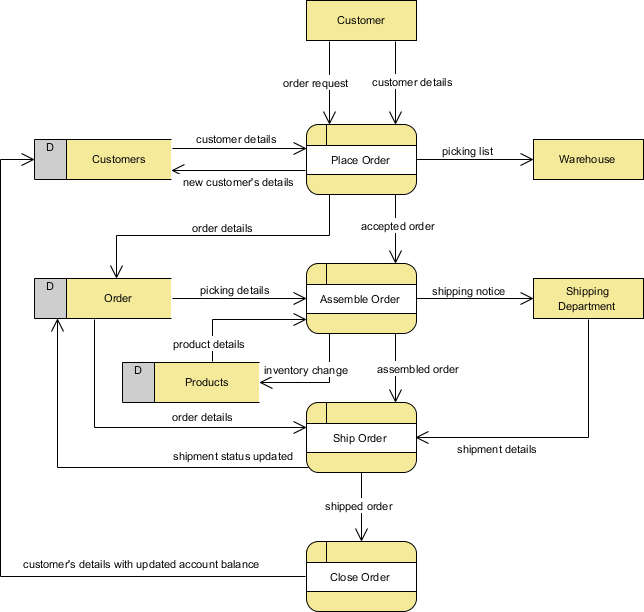 Click the button below to import this tutorial into Visual Paradigm and start developing MVC Sequence Diagrams for your system. The wizard not only provides the steps and guidance but also automates the transition of data among steps.